Second City revue She The People, featuring an all-female cast and crew, is an overdue counteraction to the predominant male comic viewpoint and the prevalence of all-male sketch groups. 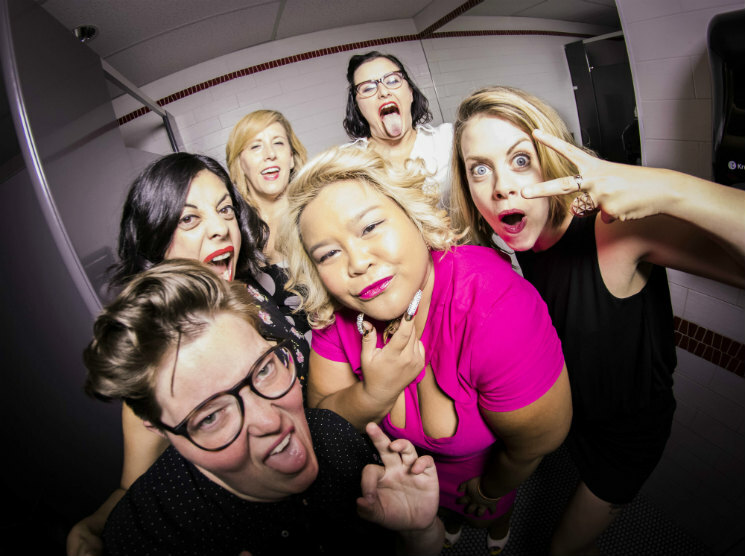 Finding funniness in uniquely female experiences like turning into your mother and celebrating when your friend breaks up with a terrible boyfriend, She The People is a case for deconstructing patriarchy both on and off the stage. Women bring a refreshingly different array of concepts to the comedic table, and it's a much-needed move against both the hacky areas of masculine humour and gender inequality itself. She The People had several sections that shone. The actors' impersonations of female archetypes in commercials were spot-on. Additionally, the troupe's musical sketch about when white people ask where people of colour are "from" was hilarious, even down to small details like the song's chords and the prop choices. Most memorably, the show's satirizing of sexist dress codes with a T-Rex costume was just purely and beautifully silly. Having said that, there were several areas that could have used a little brushing up. The final blow lines of most of the sketches were half-baked afterthoughts that left the audience tepidly applauding instead of leaving them laughing. Furthermore, the show's obscurely titled song "Rubenesque" was more of a standard musical number than a funny take on being a plus-size woman. Worst of all, the sketch that opened the second act was cringe-worthy and mediocre. Featuring a bunch of catty women screeching to each other over brunch, the scene was more obnoxious than funny — not to mention that the premise of it counteracted the dramatic feminist manifesto that the show began with.